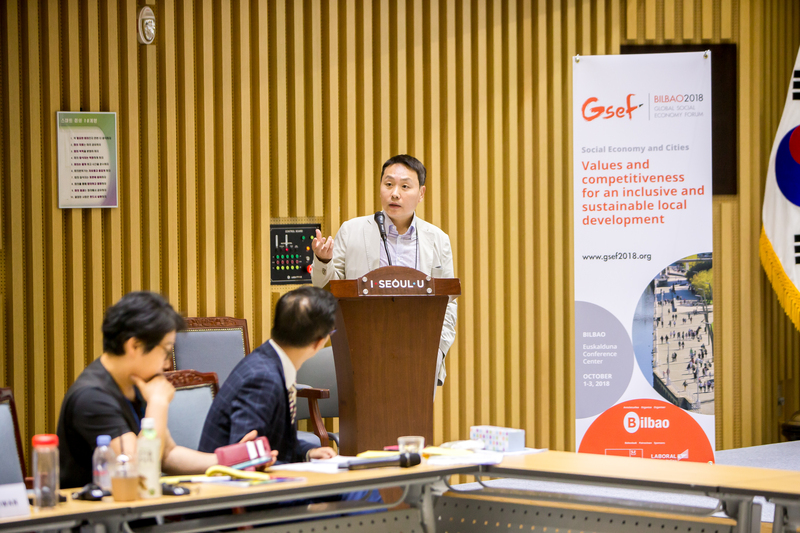 Korea social ecosystem has gone through a lot of changes; legislation of entitling the social enterprises act and we have certified social enterprises by law, and those were entitled to receive government subsidies and support. That was one of the huge changes in the scene, and that had a lot of implications regarding where and how the impact investment can be positioned. Social enterprises and cooperatives have legal braces of certification. There has been constant support or basis of support for social enterprises. The nature of the funding was quite different from the potential impact investors’ need for social enterprise, and it was a huge gap. We need to create an impact investment market. And let it grow organically from the circumstances. We have to create the wholesale fund. Capital has provided a constant flow of huge money to the ecosystem and as championing the idea of investment market was surprisingly good. The possibility that wholesaler will dominant the market is somewhat worried but there is a great effect, and we try to emulate what the SEE has done. We also want to expand the capacity, and through that intermediaries, we want to bring all things together for coming up with different types of business models.